For those who like to visualize and feel.. Check out what happens on our trainings here! Living foods are raw foods, meaning they have not been cooked in any way, and still have all the natural enzymes within them. Maintaining at or below 48DegC/118 degrees Fahrenheit preserves the inherent life-force and information/nutrition within the foods. It is within the distilled and structured waters of the plants we find the most effective sources of energy and information. There are many subtle energies within nature and the foods we eat that are sensitive to preparation. Of course there are other elements that can handle above these temperatures, tho the most beneficial are the subtle forces in nature. 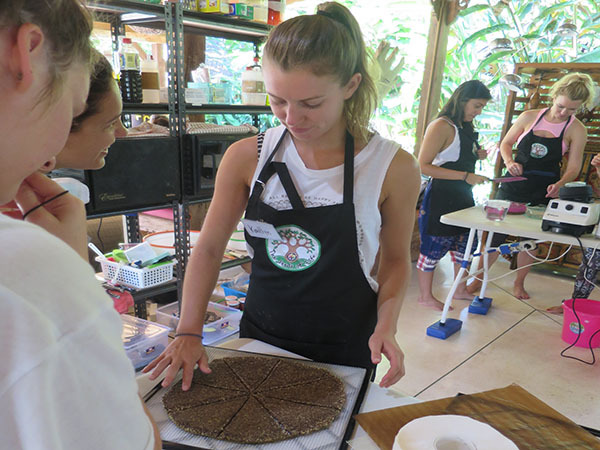 This knowledge is the foundation of our Raw Food Chef Certifications & Training’s here in Bali and our philosophy are food preparation. “But in the tract marked here lies the contradiction contained in the fact that man, in digestion and in the allied functions, separates himself from the general world process — and the same is true for the complementary process of thinking and vision, where he once more individualizes himself. This is why man tends to display, as it were, obstinate individual requirements in all things appertaining to digestion; and this instinctive self-assertion shows itself in the habit of cooking [i.e., changing] the raw materials of our food”. A view of our training Kitchen. We use the best equipment we can source, Vitamix and/or Blend-Tec on every station, Excalibur dehydrators and so on. Raw Foods are not necessarily ‘cold’ foods. 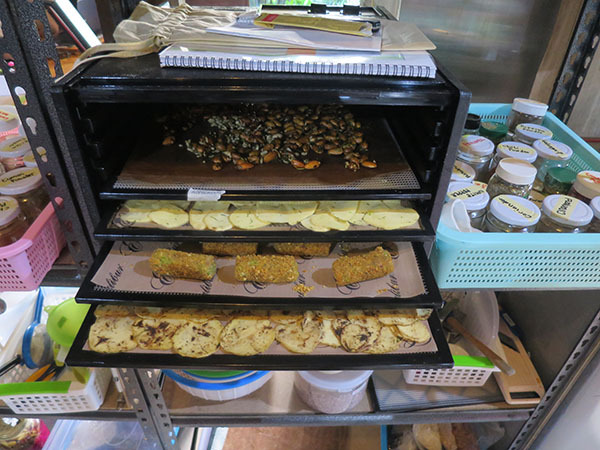 We will expound upon the diversity of the dehydrators and warrant your investment in good equipment. 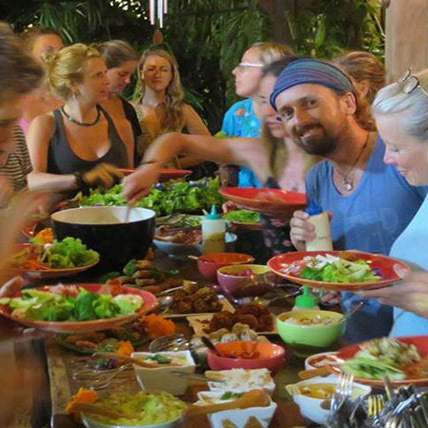 Probably the most nourishing element of our Raw Food Chef Certification & Training’s are the connections we make with each other. When you are surrounded with 20 other like minded people who speak your language for 2 weeks, magic happens. The potential of what you can create is limited only to your imagination. When you succeed at finalising that recipe and it turns out the way you imagined, the elements start coming together. The confidence arises within you then you take that to the next level. We are always blown away by those who have little confidence in the kitchen and what they can create given a few tips and encouragement. The great thing about working with freshly picked, organic elements is that we don’t need to add a great deal of seasoning. We are working with the inherent nutrients which are the flavours actually. So combining flavours, colours and ingredients to bring about an end result is not only simple, but seasonal. We will show you the difference between in season flavours and out of season flavours and how recipes will change accordingly. Many subtleties in the kitchen that keeps our minds open to the changes in seasons. 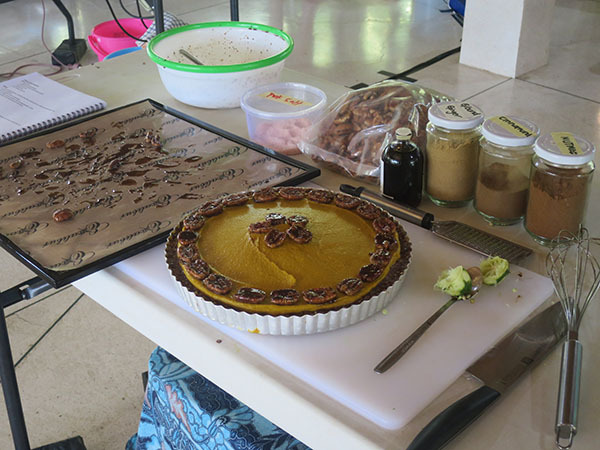 Raw Vegan Desserts. The front door to the realm of high vibes and guilt free desserts. 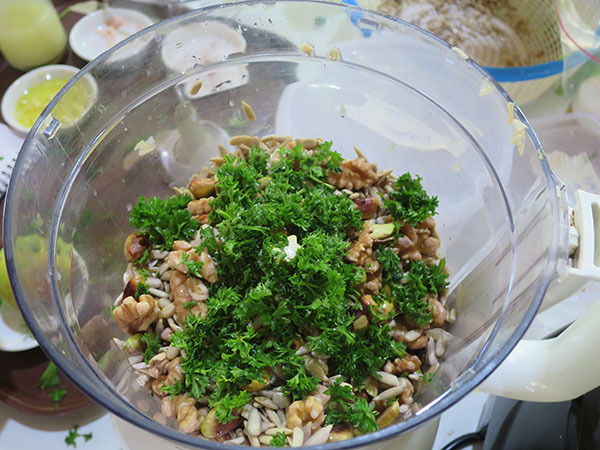 Sugar free, gluten free, we also teach nut free to meet anyone where they are at with dietary challenges. Beaming with Biophotons, come and learn with me the techniques, the science and the secrets making Living Foods successful. This is my life, my passion and what I live for. I’ve been thriving off this way of life for more than 11 years and have learned the successes around making it fun, practical, professional and tasty and cannot wait to share it with you. 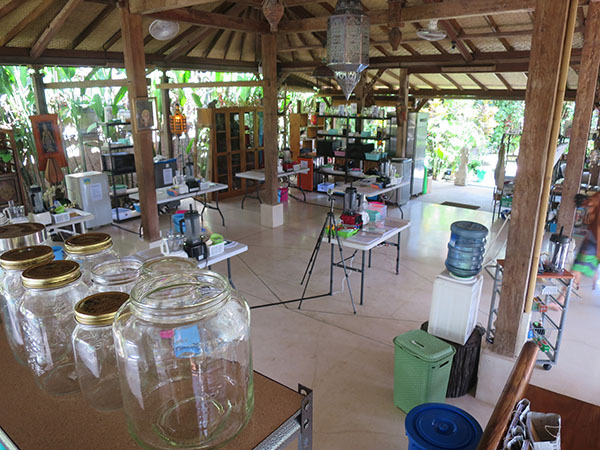 I also have a very Successful Raw Food Cafe & Taoist Tonic Bar in Ubud, Bali, with an Ashtanga Yoga studio which I am really happy to share with you the business behind the scenes as well. 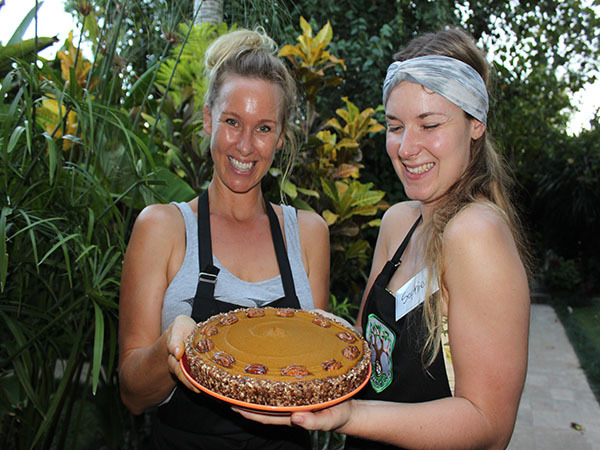 “After being apart of the Raw Food Chef Training, my world has opened up in front of me. What an inspiration! A special thanks to Ben’s words of wisdom and bountiful, what seems endless knowledge.